We are giving a great opportunity for our reader to solve all their health problems. Now our readers can contact our panel of doctors and discuss all your health problems. The service is free of cost. Our doctors will discuss all your problems and give you the best remedy. 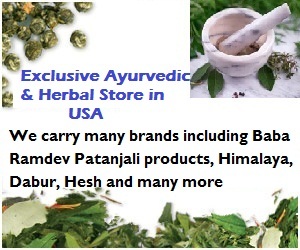 We will also provide you with Ayurveda medicines at your door steps if you find it hard to get medicines in your locality. i have gall bladder stones which shows multiple calculi -the largest measuring 0.7 cm.also there is evidence of cholelithiasis+.what is the remedy for it? Which herbs is good for the inflammation of the bladder ? How to eat or drink these ? Doctor I have 2 fibroids of 40mm & 30 mm size they are subserousal fibroids. Doctor says surgery is required. I dont think so & not ready for it. Can it be dissolved by Ayurvedic treatment. i started using Lady's finger from past one month, but i am not finding any result from that, after using this i stopped taking morning tablet. please let me know.